I am a Research Fellow at the University of Padua, member of SPRITZ Security and Privacy Research Group led by Prof. Mauro Conti. My main research interests are in the security and privacy domains: currently, I am applying Machine Learning techniques in different S&P-related areas (such as users' biometrics and content consumptions patterns, and malware network communications). I coordinate our CTF team spritzers (on CTFtime). Together, we organize practical, hands-on meetings/lectures on cybersecurity techniques called SPRITZ_PLAYGROUND. 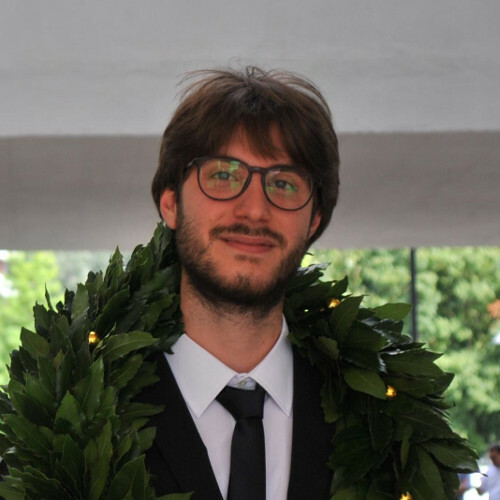 I obtained both my MSc degree (with honor), and BSc degree in Computer Science at the University of Padua in 2016 and 2013, respectively. In 2014 I spent a semester as an Erasmus exchange student at Leiden University, The Netherlands. November 2017: Our paper "Back To The Epilogue: Evading Control Flow Guard via Unaligned Targets" accepted at NDSS 2018! September 2017: Our paper "It's Always April Fools' Day! On the Difficulty of Social Network Misinformation Classification via Propagation Features" accepted at IEEE WIFS 2018! 2017: Our Skype&Type! Project was very well received! It was published at ACM ASIACCS 2017, I presented it at BlackHat USA 2017, featured on Forbes, BBC Click, and Tom's Hardware among others. See more and grab the code on our project page.